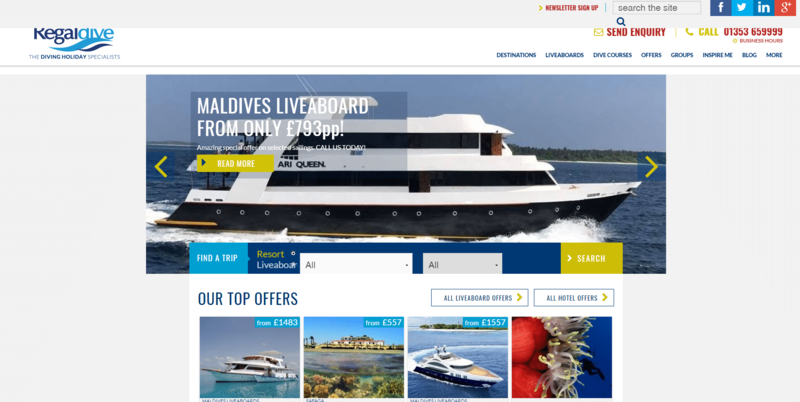 Hampshire, UK-based The Natural Travel Collection has acquired one of Great Britain’s leading diving tour operators, Ely-based Regaldive from Explore Worldwide Ltd.
Regaldive joins existing dive brand, Dive Worldwide, at The Natural Travel Collection (TNTC). Together they form what is thought to be the largest dive offering in the UK. The two dive brands, which have complementary areas of specialization, will be operated as separate entities. The Natural Travel Collection is a small, privately-owned travel company established by Chris Breen, founder of Wildlife Worldwide, and Teresa Bennett, founder of Dive Worldwide, and supported by a highly knowledgeable and specialist team. The Travelling Naturalist – Expert-led wildlife and birding holidays for small groups of naturalists. For more info on The Natural Travel Collection, check out the company’s website at thenaturaltravelcollection.com.